My first encounter with Steve Sandler was a NYC Metropolitan AAU 1-wall semi-final match against him in 1960 when I was 21 and he was 20. I managed to win that as I also did in our USHA national 1-wall open semis match 6 months later. However that was the last time I beat Stevie in a tournament for 22 years when I prevailed to win the 1982 Masters singles. In the interim Sandler won 15 national open singles and 3 national doubles championships, beating me in the finals 4 times and semis another 3 times. We played many other matches against and occasionally with each other throughout the years. Beyond that we shared a kinship and friendship that transcended our handball playing. Our relationship based upon common interests and attitudes formed a lasting bond that survived the travails of our competitive drives albeit with some animus thrown in from time to time. Some of the more memorable of those times with Steve and my associated thoughts and feelings follow. At the time of our ’60 semis match my stamina deficiencies were already common knowledge so although I was the favorite for the first game which I won, I was an underdog for the match. The scenario between us that was to unfold repeatedly over the years wherein I would win the first game and lose the next 2 to Steve would have occurred on this occasion as well, save for a mitigating circumstance. I was ahead about 11-8 but was completely exhausted and had used all 3 of my 30 second timeouts. I might have given up that 2’nd game at that point with the forlorn hope that the rest between the 2’nd and 3’rd games would revive me. This never worked for me when I tried it later on as the 21 point tie-breaker that was the rule when we played, invariably did me in against Steve’s relentless retrieving that kept the ball in play so much longer than other opponents. However, a colleague of mine after winning a sizable sum on me in game 1, had bet the whole thing on the 2’nd game so I had no choice other than to push myself to try to win that game which somehow came to pass despite my gasping for air, staggering and falling. See photo above. In 1961 after Steve had beaten Ruby, Oscar and Carl Obert to win the AAU championship, and I had come in second to Oscar in the previous USHA tournament, a match between us and Vic Hershkowitz and Moey Orenstein was proposed at Avenue P Park. Although Vic and Moey were 20 years our seniors, these great champions still were the favorite and the pre-game negotiations established that they would spot us 2 and up. The question was whether it was to be a 21 or 25 point match game. Moey then said, “I don’t give a f**K if it’s 25, 21 or whatever.” I said, “as long as you don’t give a f**K, give us 2 and up on 3.” Then for the only time I know of at Avenue P, it was agreed to play a 2 out of 3 11 point game match in which we would get 2 and up each game. There was $3,000 bet on the match which is equivalent to about $30,000 of today’s dollars. We lost the first but won the next 2. In 1962 Stevie and I were going to team up and play in the national AAU together. Prior to the event during the course of a money game we had a falling out and swore off each other. This turned out to be quite serendipitous for me because I wound up playing with Ken Davidoff whose driving offensive style was perfectly compatible with mine as we went on to win that nationals over Oscar and Ruby Obert and play in many tournaments together including 7 national open finals. Much more than that, Kenny and I are lifelong friends. Steve and I did finally team up in the 1966 USHA nationals. We beat Oscar and Ruby Obert in the semis and were ahead 19-12 in the 2’nd after winning the 1’st against Joe Danilczyk and Arty Reyer. During that whole game Mickey Blechman who was on the PA system kept announcing there will be a 10 minute break between the 2’nd and 3’rd games of the match, practically willing a 2’nd game win by Joe and Arty. Lo and behold that came to pass and they won the 3’rd as well. 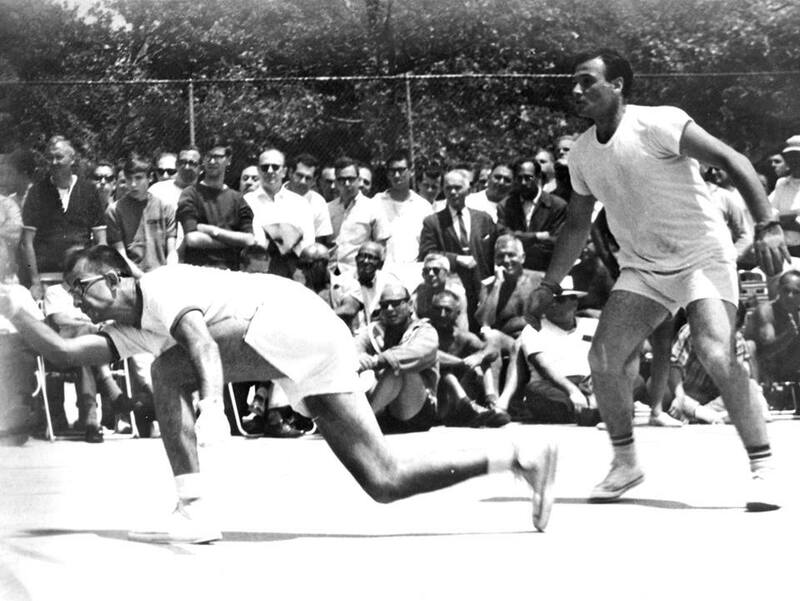 During the early ‘60s Sandler played a large number of matches day after day and wound up hurting his right arm. At that point he began playing primarily with just his left and together with an uncanny backhand developed it into the best off hand in the game. He would play and mostly win with his left against 2 B players, or left against right against top players, or with just his lefty backhand against others. He wasn’t even going to play in the 1966 AAU nationals when I told him that it wouldn’t be the same if he didn’t compete. Much to my chagrin, Steve not only played but defeated me in the finals after I had predictably won the 1’st game. After that while schmoozing at the 92nd Street Y in NY, Jim Jacobs, then the unbeatable 4-wall and 3-wall champ, approached me and said that he heard that Sandler would play his left against Jim’s 2 in 1-wall. I told him that I didn’t know if Steve would play but if Jim hadn’t played 1-wall, he would lose. 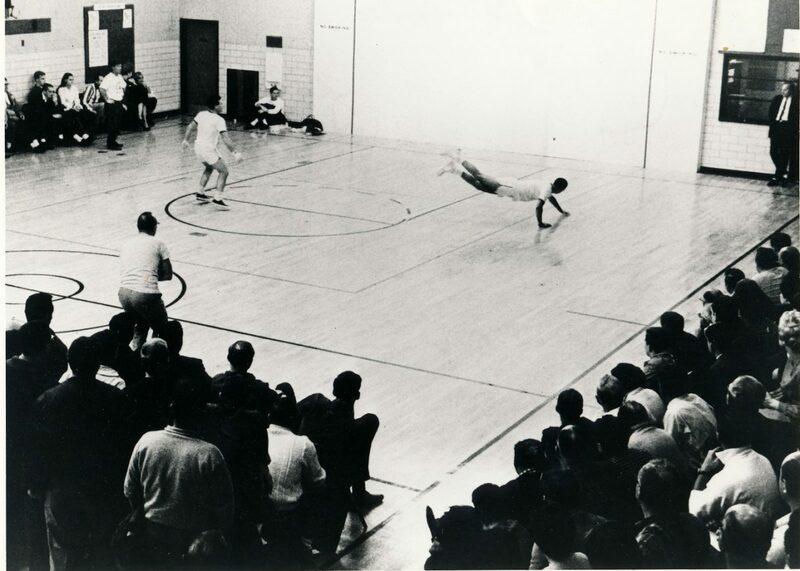 Jim retorted, “there is no man in the world that can beat me in any kind of handball left to 2 and I have $10,000 that says that can’t happen.” I told Steve who agreed to play and the match was arranged. Jim came to Avenue P Park with his bankroll, a Sports Illustrated reporter and photographer and proceeded to make a speech to the local denizens which included Harry No-gloves, Irving Bald Eagle, Karate Joe, Emil the Bookie, Louie the Hooer (Brooklynese for whore) and the like, saying what an honor and privilege it would be for him to be on a 1-wall court with great champion, Steve Sandler. The rest is history with Sandler winning 25-4. Sandler and I were to play against each other in 3 successive USHA finals from ’67-’69 with the same result. Eisenberg would lose in the 3’rd game. Beyond the tournaments, Steve and I played straight up singles games for money against each other about 50 times. As opposed to tournaments, there was no limit to timeouts and we never played more than 2 games at a time which diminished his stamina advantage. There was 1 instance however when we played multiple games for $50 a game. In 1969 for whatever reason, I had been running the 3 mile round trip on the boardwalk from Coney Island to Brighton Beach to Seagate and back for 3 weeks. He won the 1’st this time then spot me 2 and up in the 2’nd which I won. We played the 3’rd even and I won. Then he asked me to spot him 2 and up in the 4’th game. I said, “What are you crazy? Everybody knows that I get tired after 1 game and who the Hell ever plays 4 games? You’re the national champ and I’m not spotting you anything.” We played the 4’th even and I won 21-8. Steve wouldn’t talk to me for 3 months because I wouldn’t spot him in that game. He forgave me eventually. There were also doubles matches against each other with many different partners; his lefty backhand against my full left; each of us on adjacent courts hitting to the other’s court; 1 against 2 where we would take turns playing with a handicap, namely, Louie, the Hooer) against the other; each of us having to play on 1 foot, losing the point when the second foot touched the floor; his left against my 2 where I had to hit everything over the short line and he couldn’t step into the court; my paddle against his hands; his 2 against my right and Ken Davidoff’s left where we had to serve overhand, and any other game we could think of to try to have the other part with some of his cash. In addition we would bet on 1 on 1 basketball against each other with July Bender, a professional referee, keeping us honest. We would bet on baseball or basketball games against each other, flip coins for hundreds, and play our own invented game of knock rummy, Hollywood scoring, sometimes for as long as 30 straight hours. As a testament to our friendship, frequently the guy who got ahead a thousand would stop concentrating and let the other guy break even eventually. Stevie once said, “Big crowds watch us as we practically kill each other on the court sometimes for as little as $20, why don’t we sit on court 7 (at Coney Island Asher Levy Park) and play knock rummy and they can watch some real action.” As much of a joke as that was, it was actually prophetic as poker has become a spectator “sport” broadcast on multiple channels. With Steve Sandler’s passing, the world of handball has not only lost 1 of its greatest players, it has lost a generous incisive person. Stevie was not understood by many but whenever he could he would share what he had with everybody. He always knew where people were coming from and was probably a better psychoanalyst than most of the PhDs. Knowing people contributed to his greatness on the court and to his success at the poker tables. The last 20 years of Sandler’s life were scathed by searing back pain. 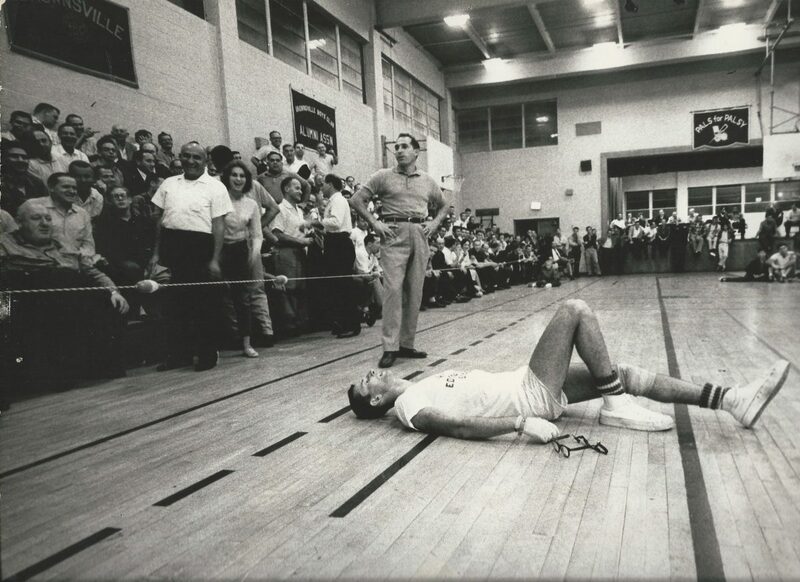 The extent of his pain was never more graphic to me than when despite his 18 national championships and the tremendous part that handball played in his life, Stevie said to me that if he had it to do over again he never would have played. As shocking as that statement was, it is indicative of just how much pain Steve was in which resulted in his reliance on extremely strong painkillers like OxyContin which only partially alleviated his suffering while radically affecting the quality of his life. 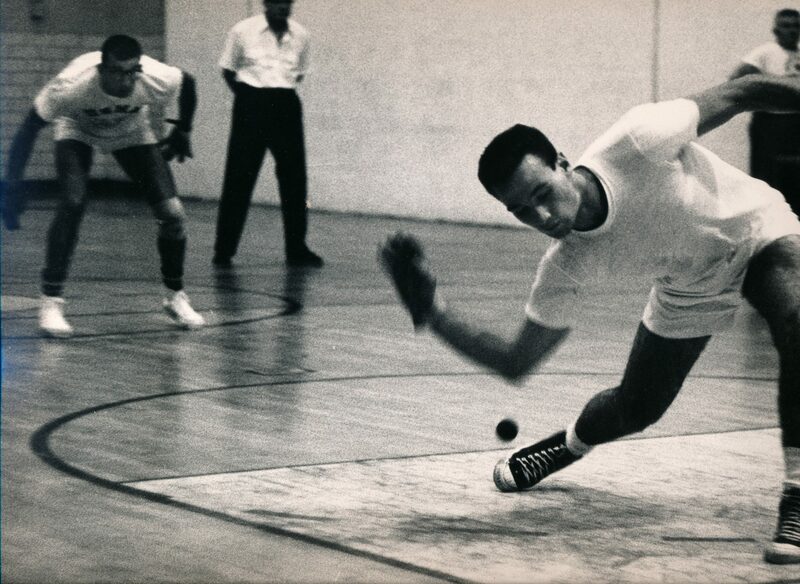 The pain is gone now and so is one of the greatest handball players ever as well as a truly unique personality. I feel that a part of me also died with Stevie. RIP my friend.